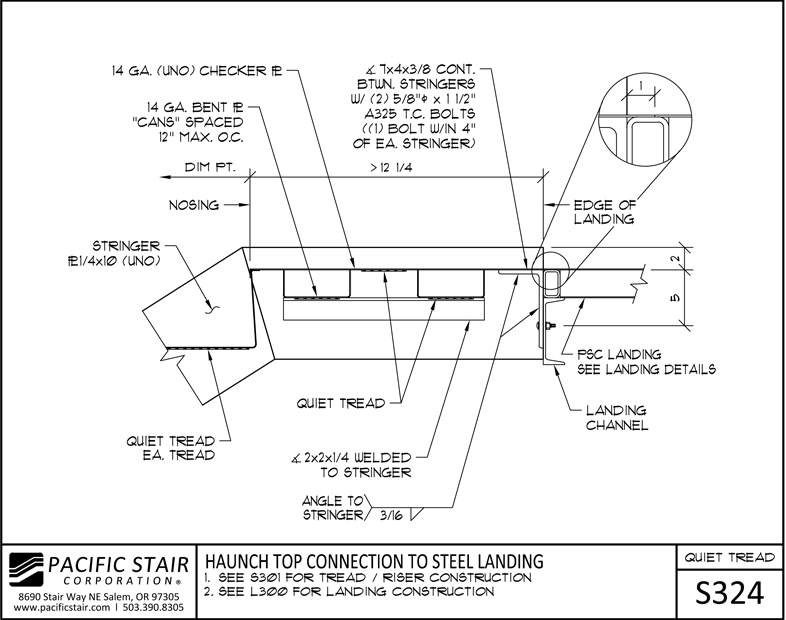 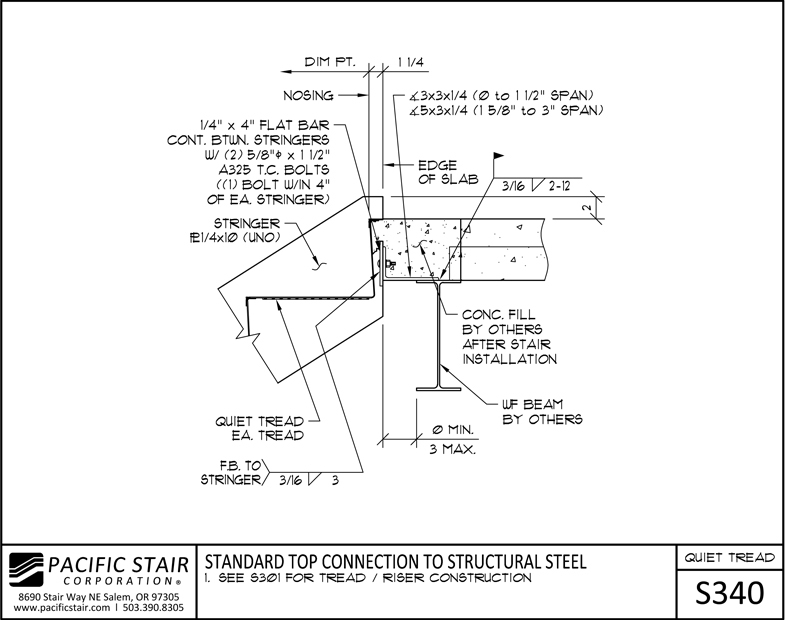 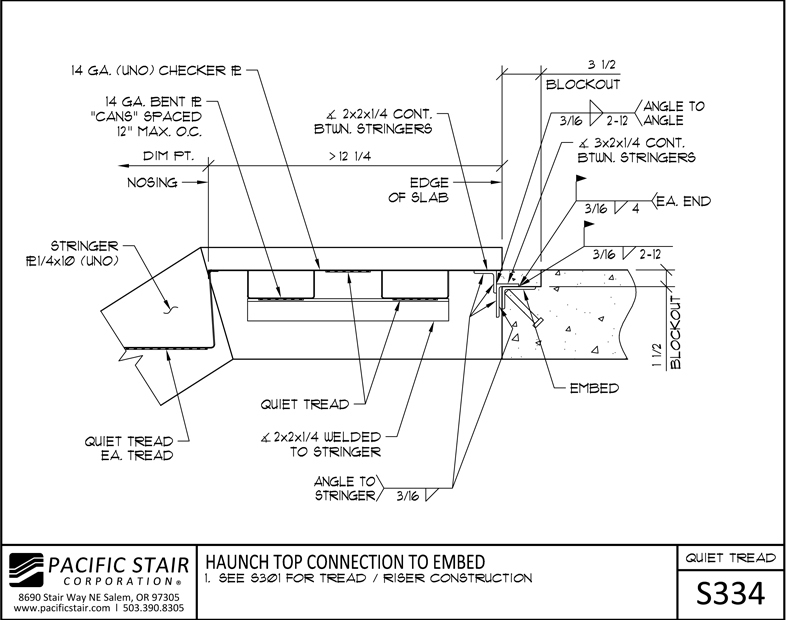 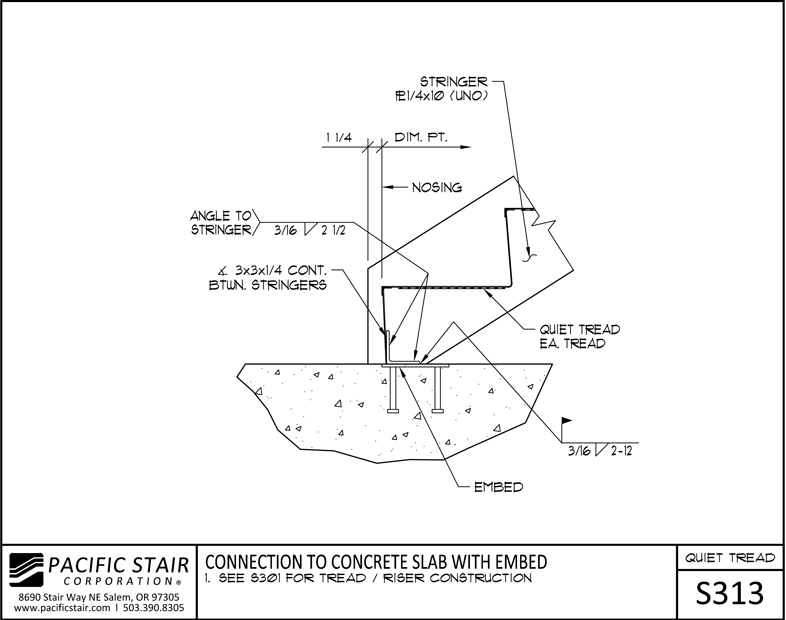 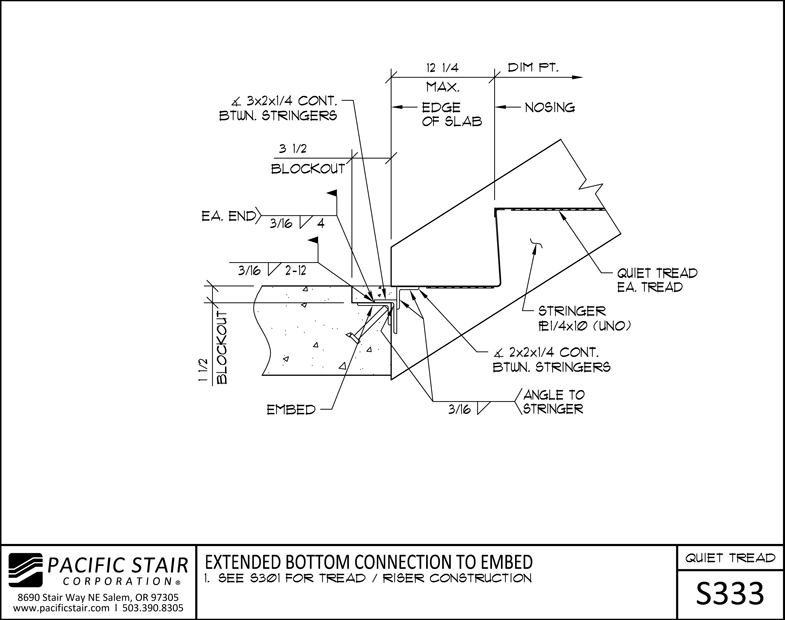 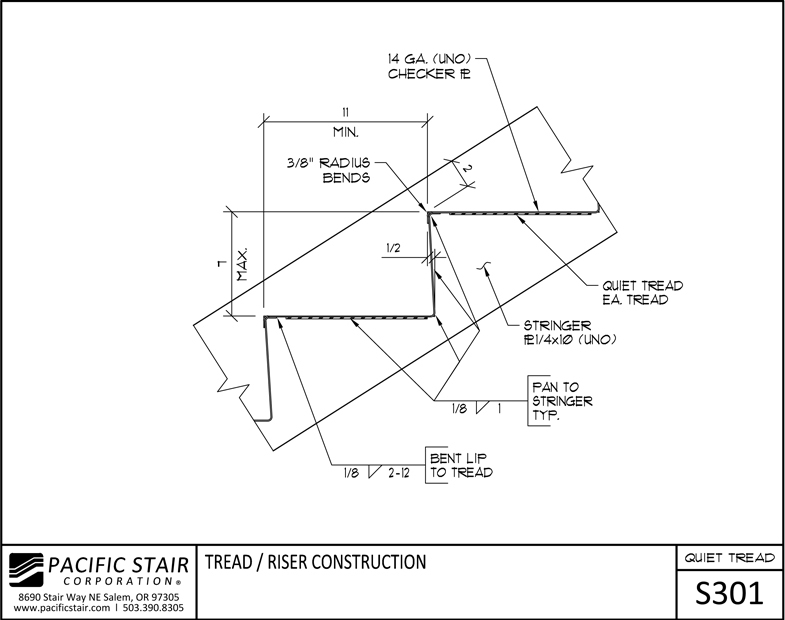 Pacific Stair Corporation's 300 Series Quiet Tread® Stair System is a revolutionary design that reduces noise levels commonly associated with normal foot traffic on checker plate steel stairs and landings. 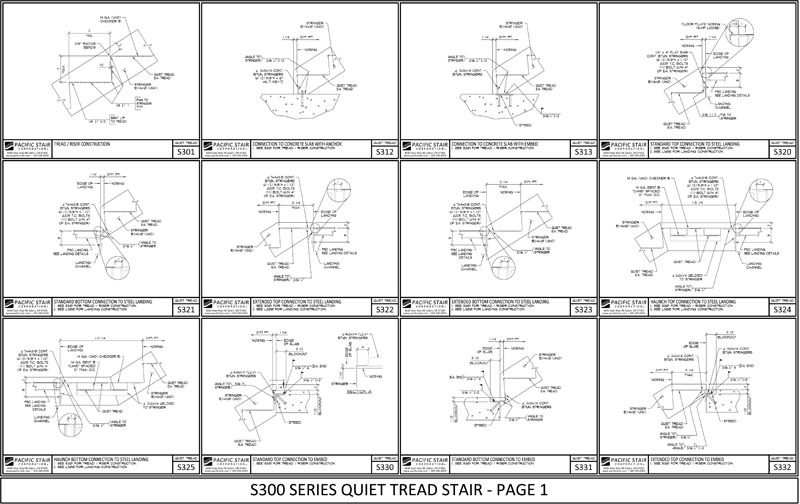 Our proprietary testing reports that Quiet Tread® offers a checker plate stair system without the noise problem traditionally associated with checker plate stairs. 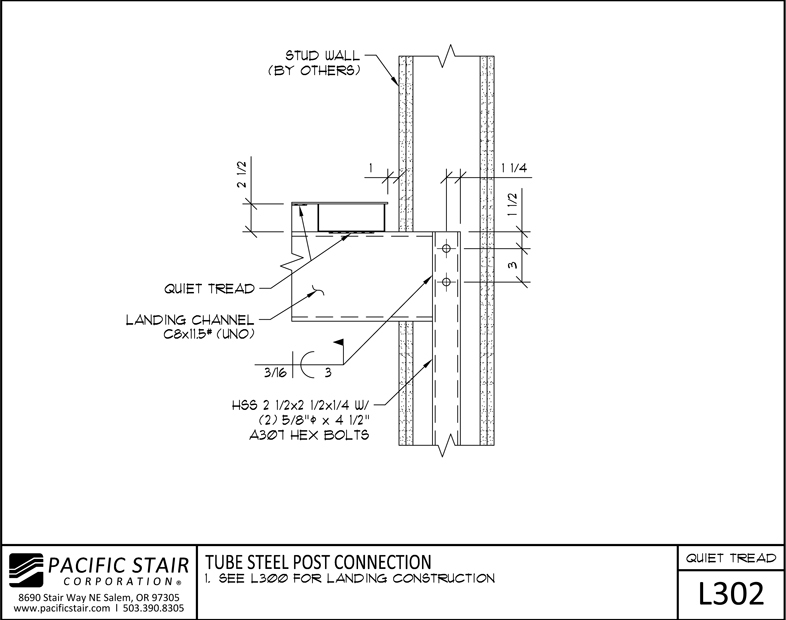 Relative acoustic testing was performed in the Structural Engineering Research Laboratory at Oregon State University under the oversight of Chris Higgins, PhD/PE using state of the art and internationally recognized acoustic test procedures (in conformity with ISO 140.6-2006 & 3741-2006, ASTM E492-2004 & E2235-2004 and IEC 61672 Standards). 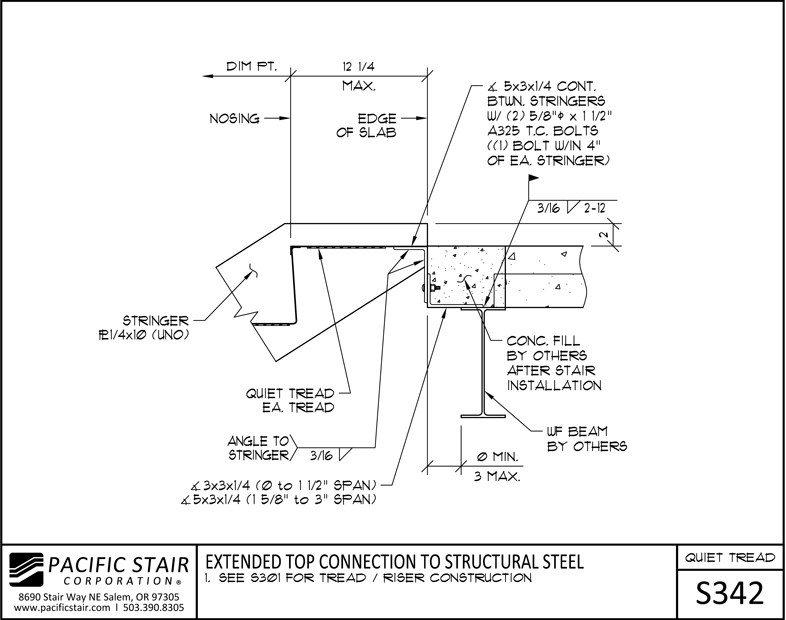 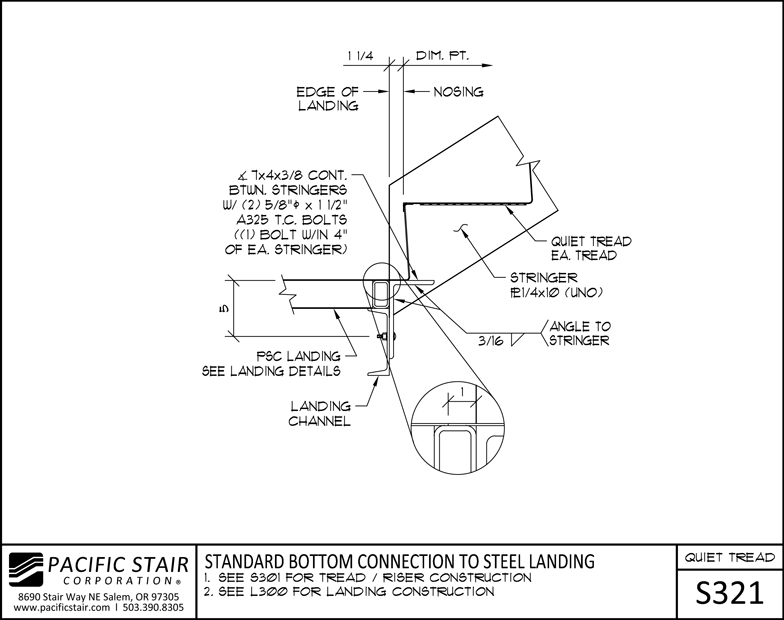 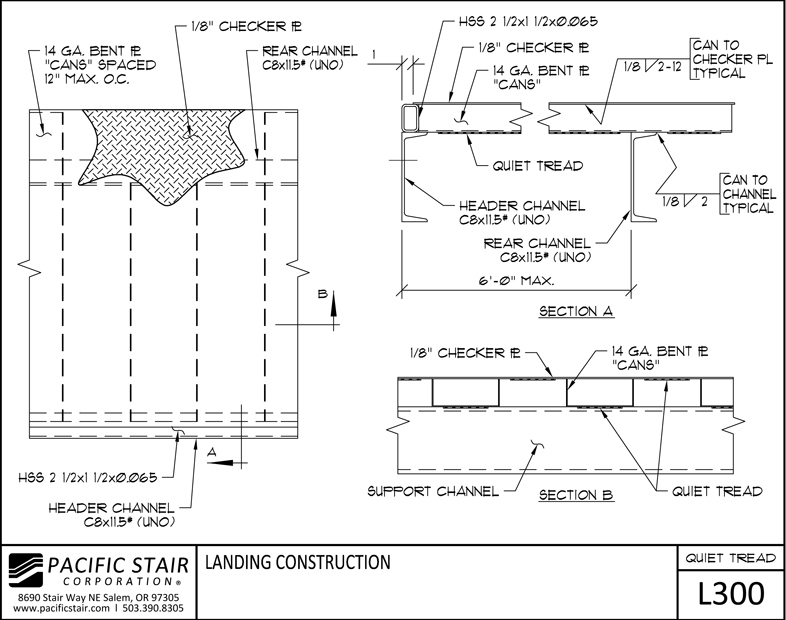 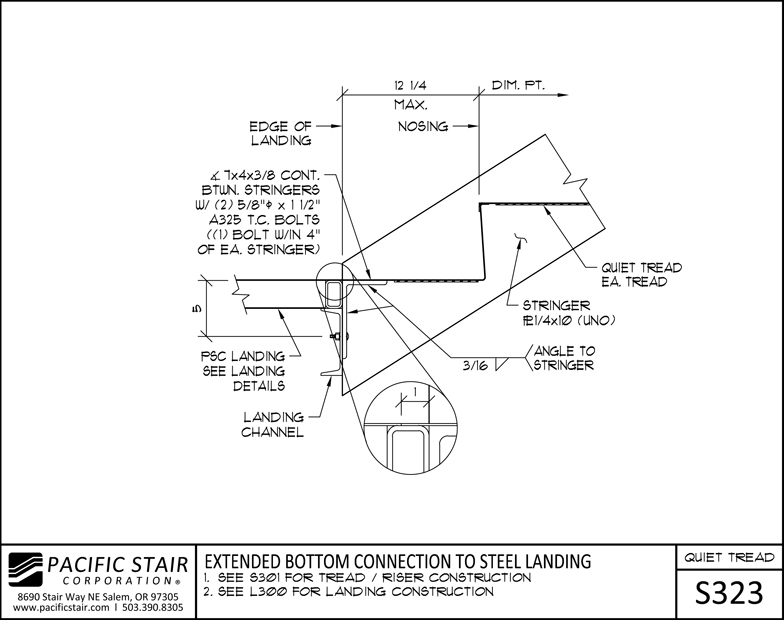 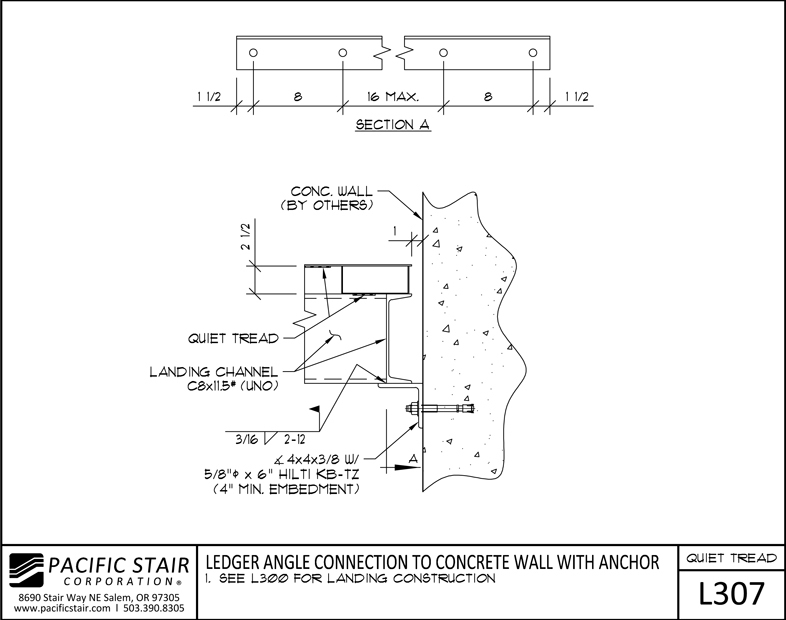 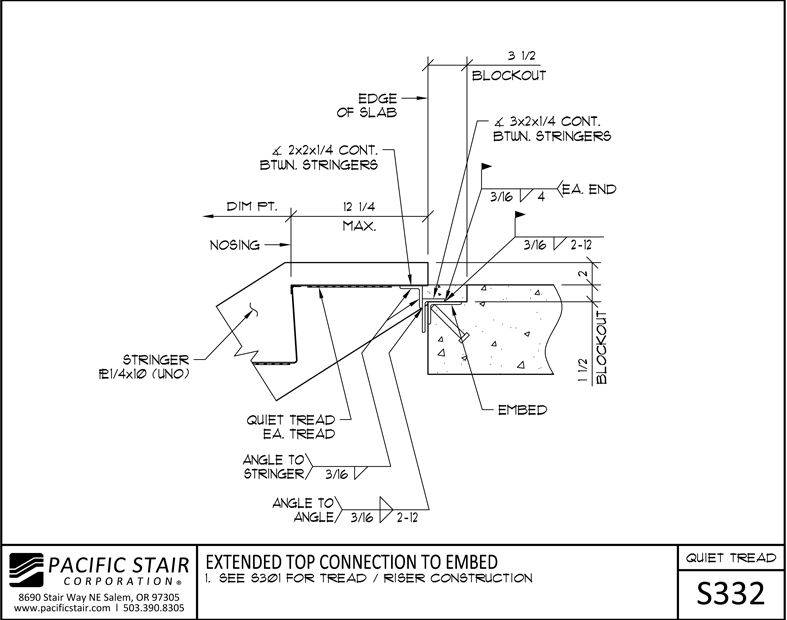 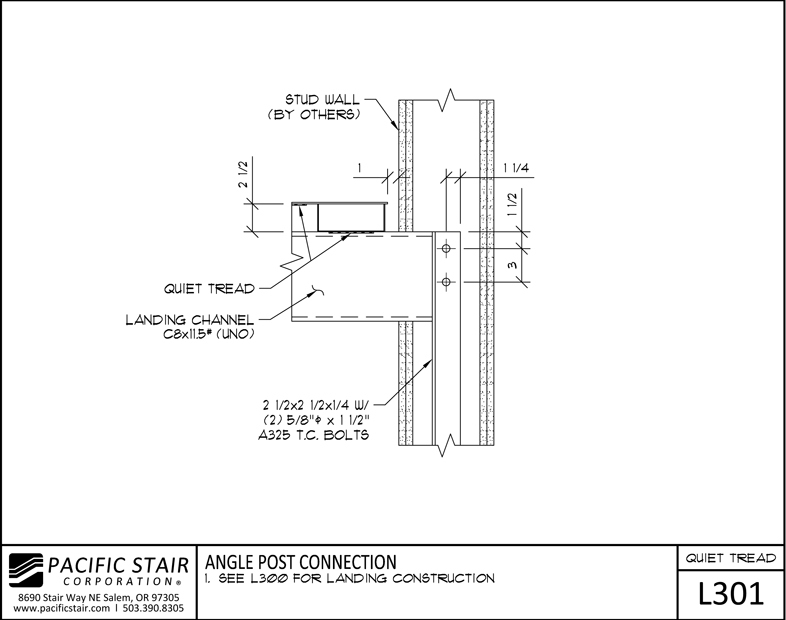 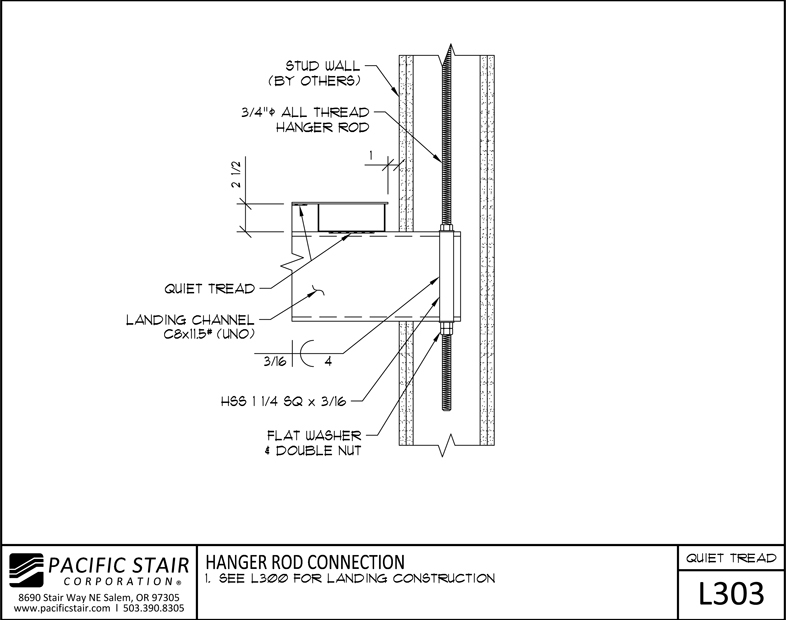 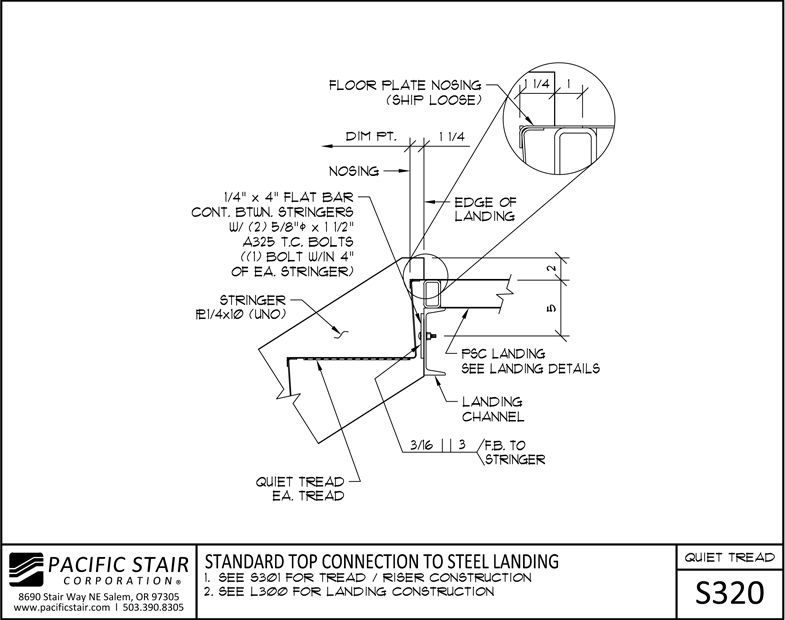 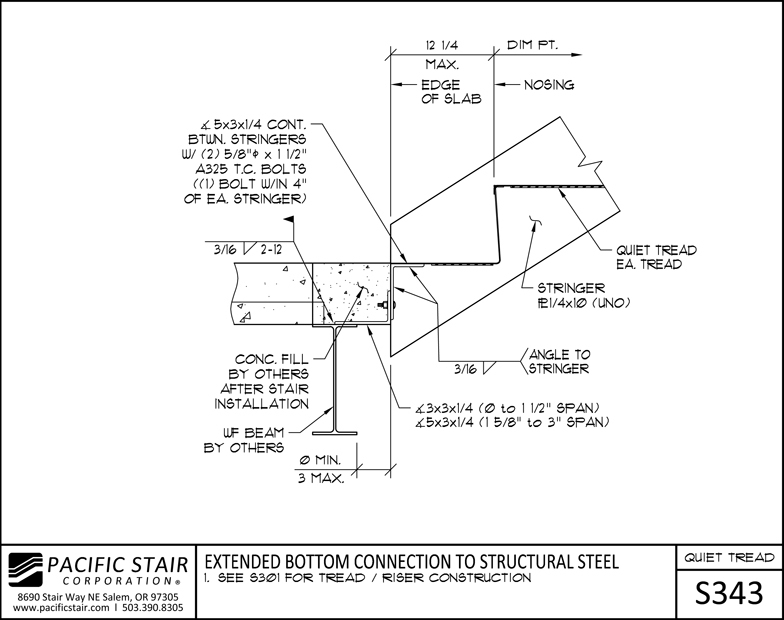 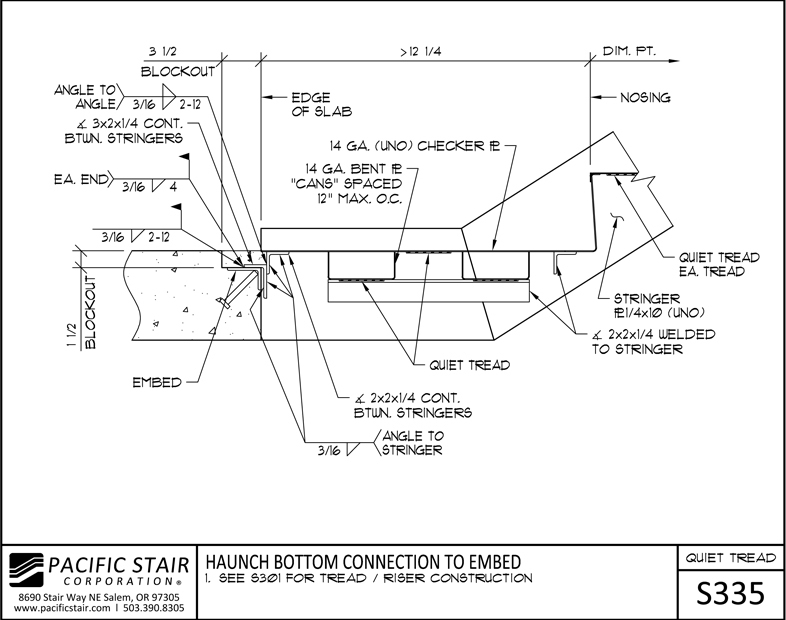 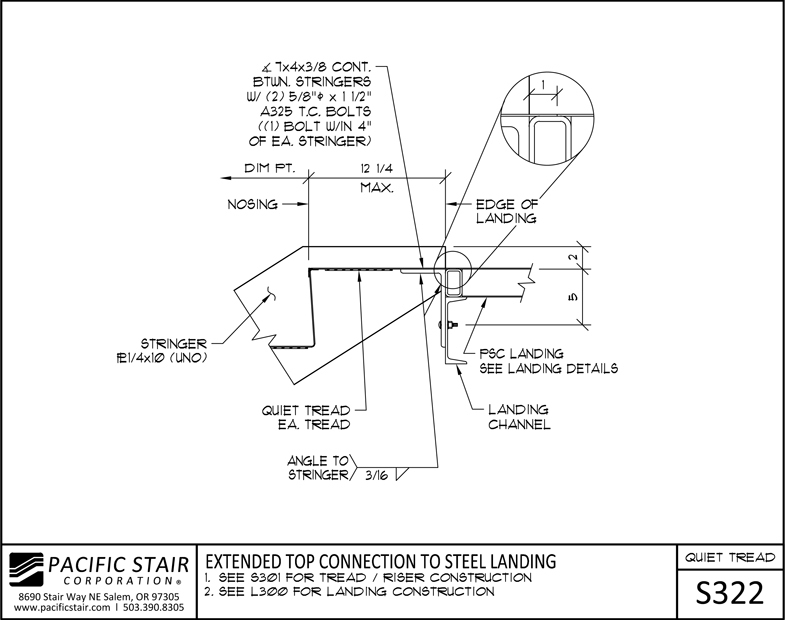 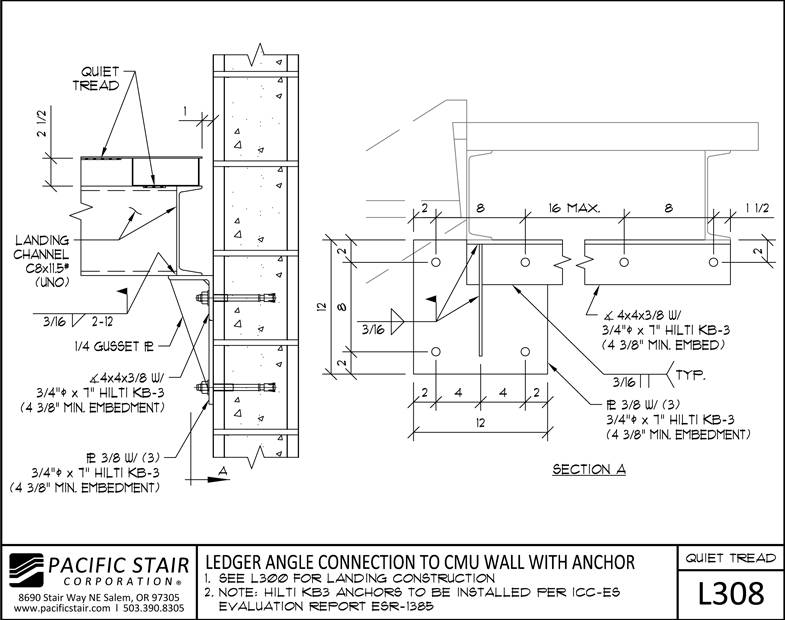 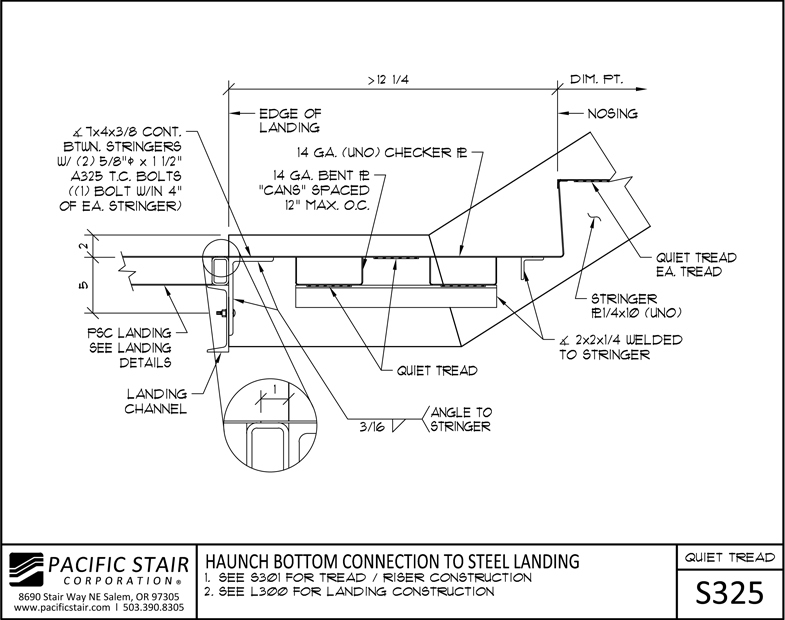 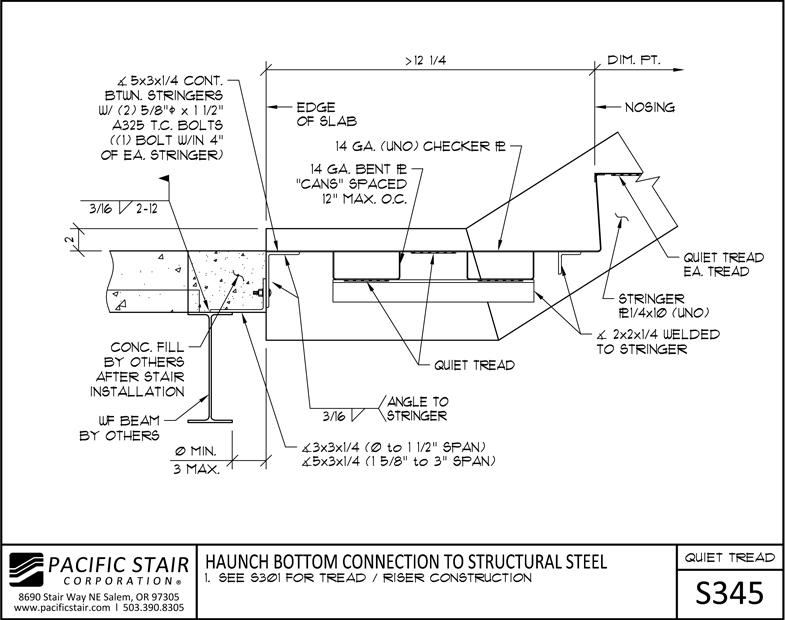 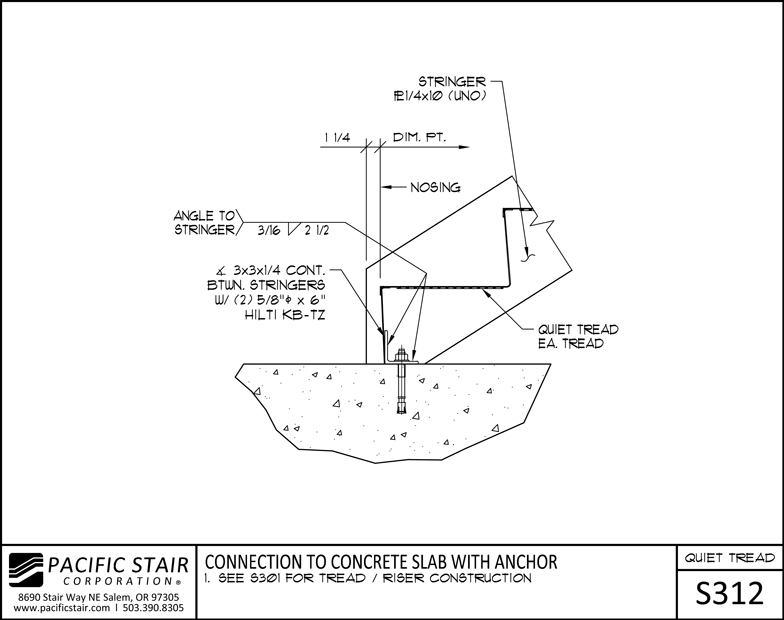 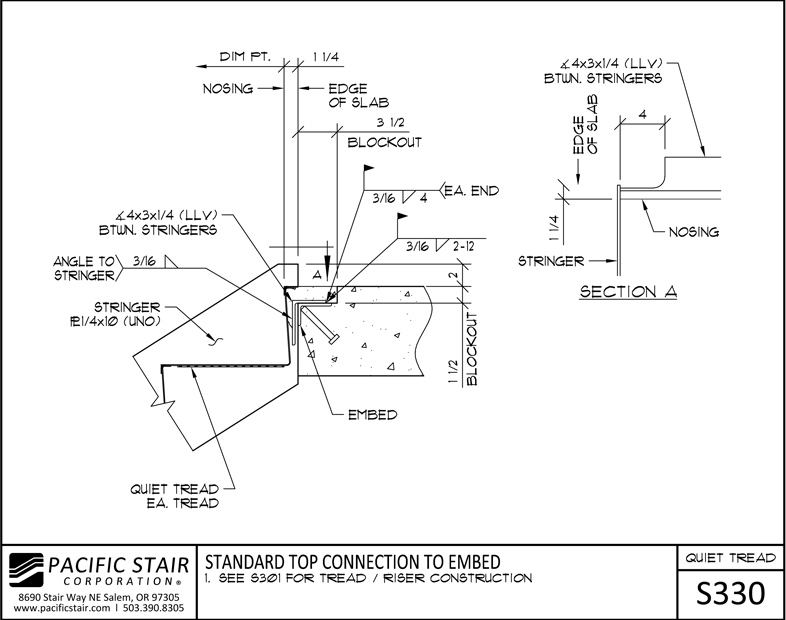 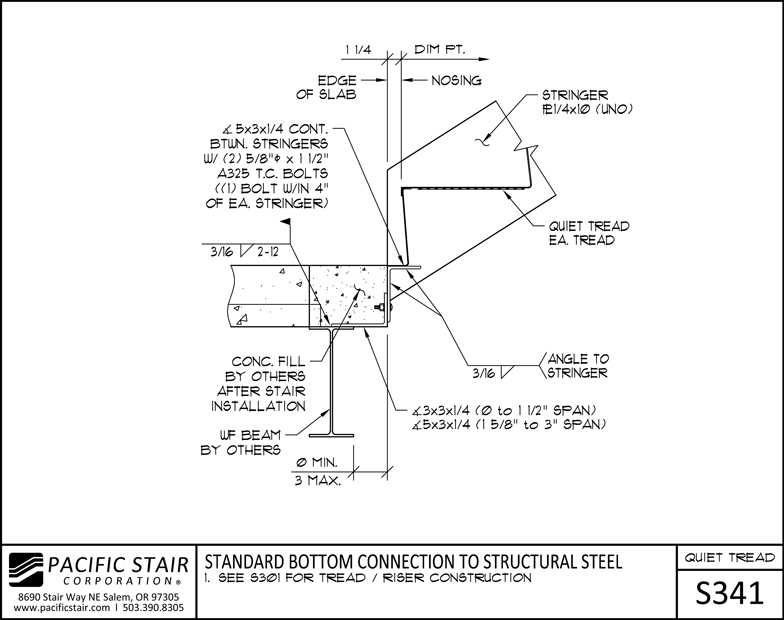 Pacific Stair's Quiet Tread® stair components and assemblies were placed in a reverberant chamber whose dimensional proportions reasonably represent stairwell applications and correspond to ASTM E492 test room recommendations. 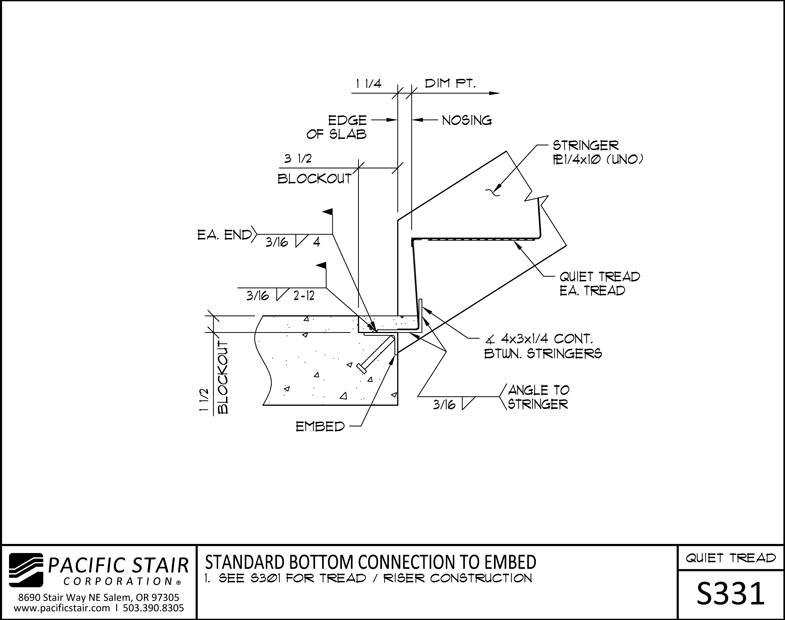 Immediate floor to floor access to all trades. 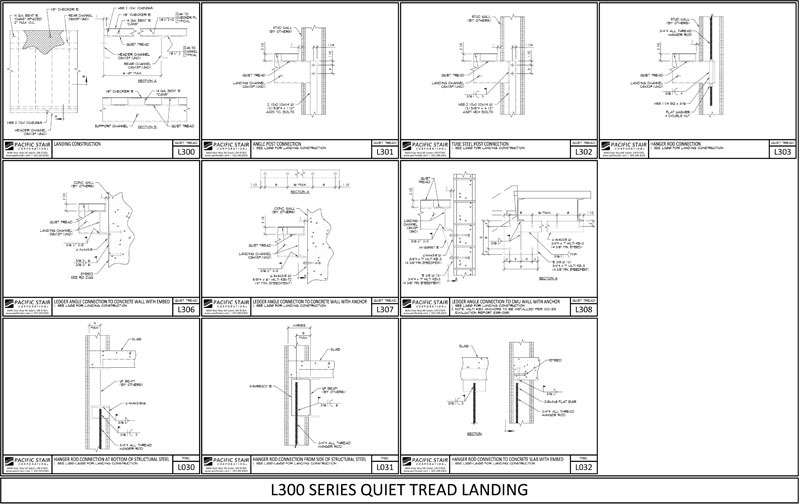 Increased productivity to all trades. 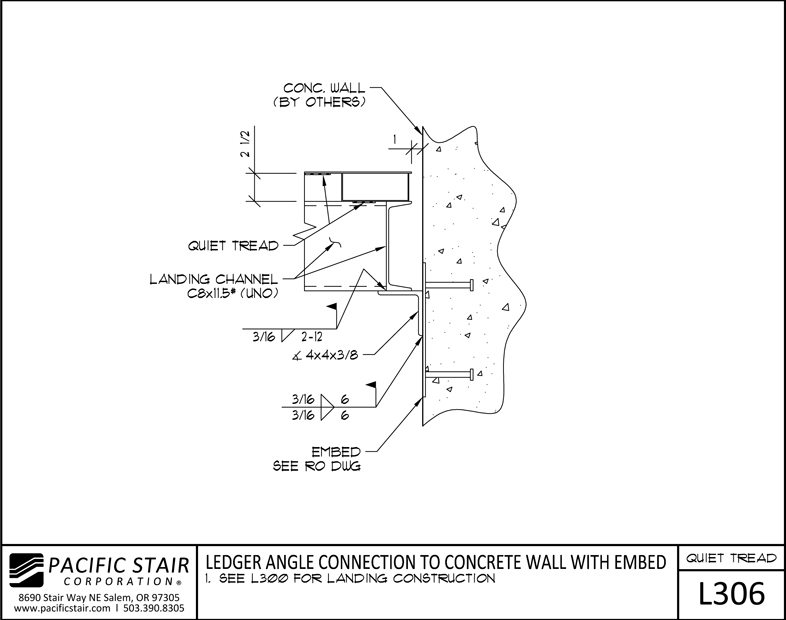 Noise levels comparable to concrete. 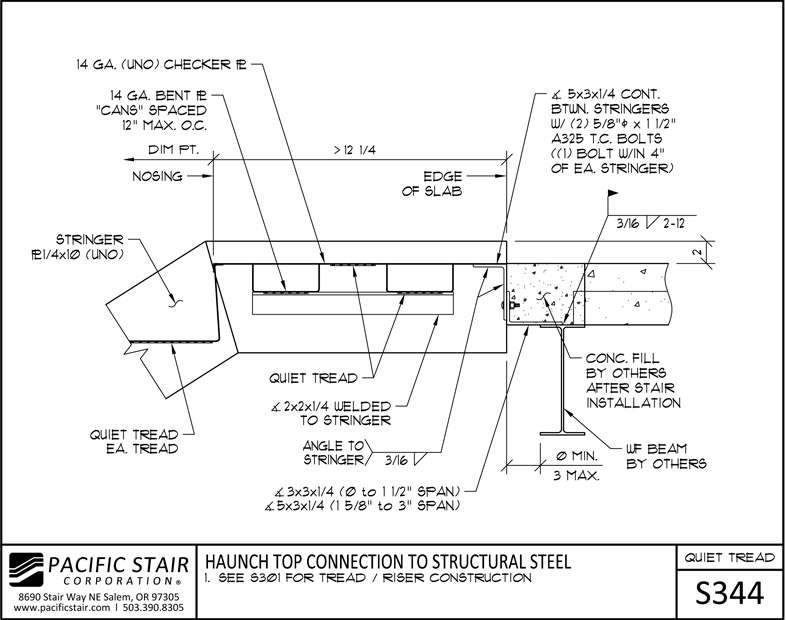 Rated IBC-2009 Class 1 or A Building Material.